Love and friendship know no boundaries, and sometimes, it even seems that animals have a more developed sense of these things than humans. Animals are simply amazing, and there are numerous examples of the love and compassion they can give. Some of them are even able to form strong social relationships and networks, even though numerous people remain skeptic about it. Sometimes, animals become friends with other animals outside or their species, and in most cases, these situations are heart-breakingly adorable. 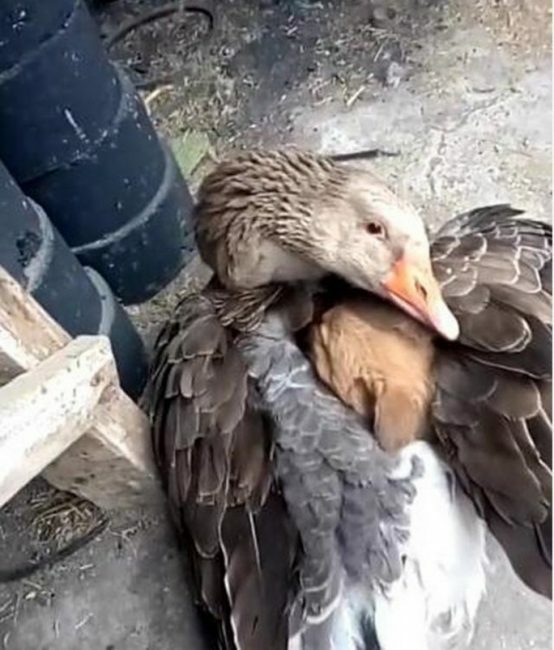 Recently, a series of heartwarming images became viral on social media, which showed a compassionate goose who tried to help a shivering puppy on the street. The puppy was abandoned by its mother shortly after birth, and since the weather was too cold, it was shivering when the goose found it. Yet, the goose did not lose time and quickly used its wings to protect it from the cold and to keep it warm. The man who posted these photos on the Internet initially thought that the goose was going to attack the puppy, but as she started to pet it with the beak, he understood her true intentions. After a while, the puppy fell asleep in her embrace. 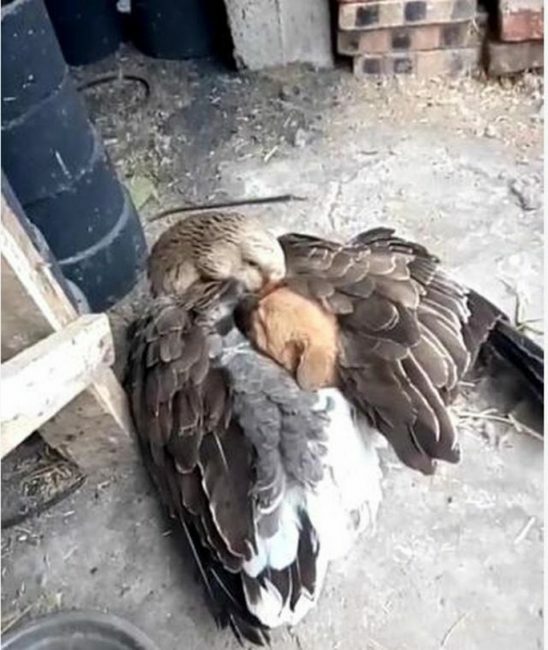 Soon after the man uploaded these photos, both, the goose and the puppy, were adopted together, so their friendship lasts in a home environment, and they are inseparable. Such stories can teach us an important lesson, as we often forget about true values in life, and undervalue the power of love and empathy.